In-Line Collision Repair Inc has been serving the York and Surrounding Communities since 1991. We are locally owned and take pride in our work and are eager to handle all your collision repair needs. We also work with regionally based Paintless Dent Specialists who are experts at hail repair. There is no charge for estimates. We are able to submit photos along with our detailed estimate directly to your insurance if it is requested. We are dedicated to making your vehicle repair as simple as possible. We understand being without your vehicle can be tough, our expert technicians take great care in ensuring that your car, truck, van, or SUV is repaired and completed in a timely manner. Accidents do happen, and if one happens to you, then come to the experts at In-Line Collision Repair Inc, and let us fix your vehicle. 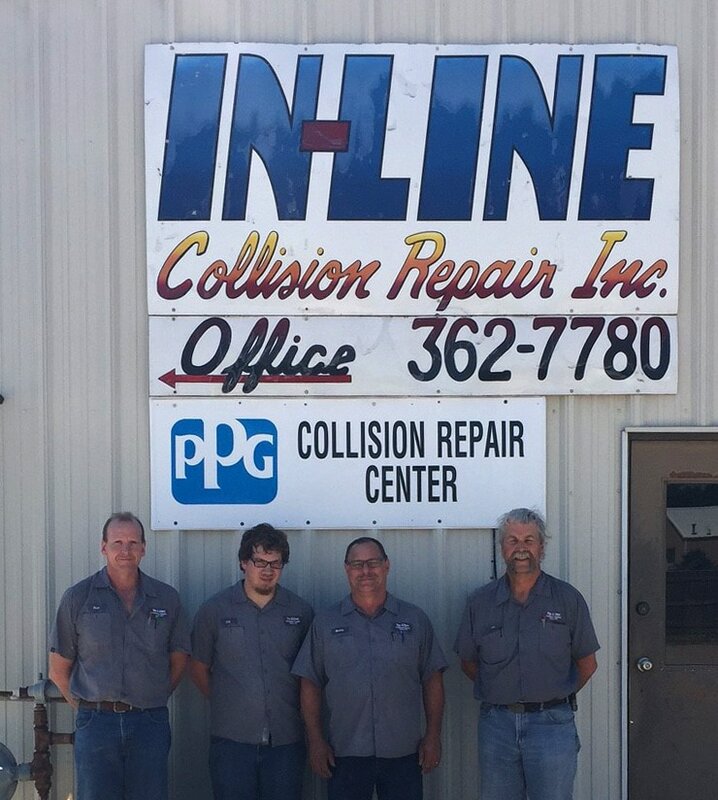 Contact In-Line Collision Repair Inc.
Find our featured Collision in Auto Repair, Auto Body and Vehicle featured as a York, Nebraska Business in York Marketplace.